A new push to combat rural crime in Saskatchewan is welcomed by some but Indigenous communities are raising red flags, calling the proposed changes to trespass legislation dangerous and a violation of treaty rights. 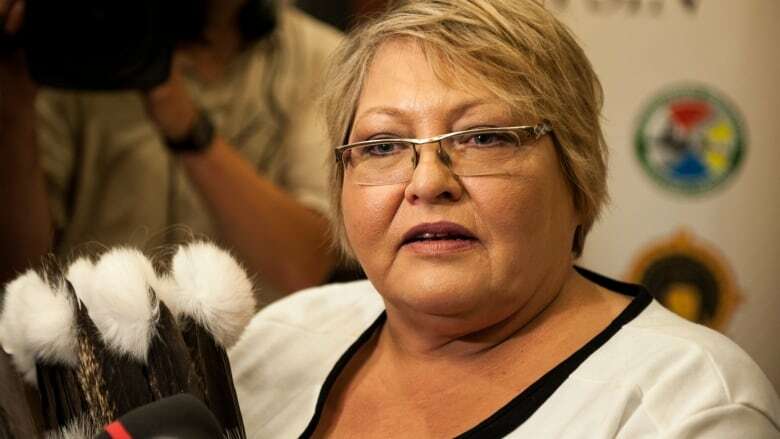 Saskatchewan's Indigenous community is worried that their government's plan to crack down on rural crime by strengthening trespassing law could stoke racial tensions and put First Nations people in danger, especially in the aftermath of the Colten Boushie trial. "I'm quite certain marginalization is part of it, and I really think that this could promote or will promote vigilantism," Heather Bear, vice-chief of the Federation of Sovereign Indigenous Nations, told The Current's Anna Maria Tremonti. "Look at what happened in the Boushie case: a young man's life was taken and of course there was no consequences. The land was more important than a First Nations life." In August 2016, farmer Gerald Stanley fatally shot Boushie, a 22-year-old Indigenous man. Stanley was acquitted of second-degree murder after testifying that his gun went off accidentally. Under the proposed changes to the property act, people will no longer be required to post No Trespassing signs on their property. Bear said this violates First Nations treaty rights by reducing the land that can be accessed for hunters and medicine gatherers. "We agreed to share the land," Bear told Tremonti. "We never gave up all our land, you know, and that's why we do have rights. Those are real — that's a real true covenant." Bear wants the province to sit down with tribal council leaders for proper consultation on updating the property laws. "The Government of Saskatchewan has made the commitment to introduce legislation to better address the appropriate balance between the rights of rural land owners and members of the public." Tim Brodt, councillor for Edenwold, Sask., argued it's common sense to ask permission before entering someone else's property. "As a landowner, it's kind of scary that if somebody does go onto my land and gets hurt on it, I could be held liable for it," he told Tremonti. Brodt, who is also president of his local Rural Crime Watch chapter, doesn't agree that the proposed laws will feed racial tensions. "I think that there's bad people and it doesn't matter what colour your skin is," Brodt said. "The only group we are trying to single out are the people that are trying to steal." With files from CBC News. Produced by Idella Sturino, Samira Mohyeddin and Sarah-Joyce Battersby.